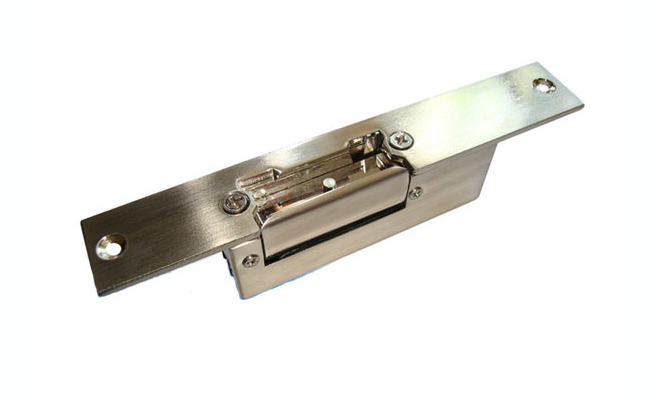 It incorporates a mechanism that leaves it unblocked by a single and short push button, it blocks itself again when opening and closing the door. It is also provided with a lever that blocks and unblocks the strike voluntarily. Reversible body, non-symmetrical for right and left opening.